REALIGNS PROBLEM TOES: Provides corrective support for crooked toes, hammer toes, claw toes and overlapping toes. Gently encourages proper toe alignment and separates the toes to reduce pain, friction and irritation for comfortable relief. Also alleviates pressure at the tips and tops of hammertoes, lifting and straightening toes for additional pain relief. 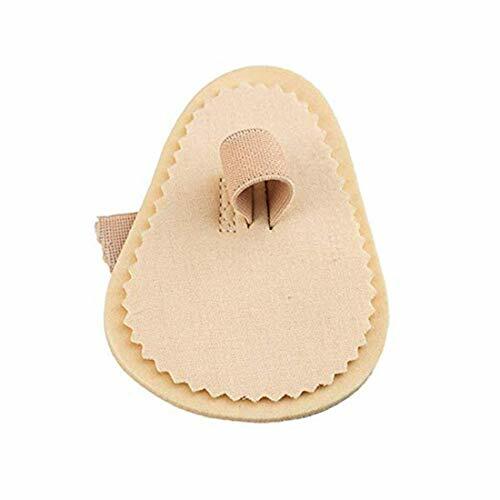 ADJUSTABLE LOOP TO FIT MOST TOES: For interchangeable use on the left or right foot, the single adjustable loop secures the toe to ensure proper alignment. The toe straightener splint can be used for any toe up to 3.5" in circumference. EASILY SLIPS IN SHOES: Ergonomic toe splint is easily worn with socks and most shoe styles. Toe straightener can be worn throughout the day for comfortable pain relief. CUSHIONED METATARSAL PAD SUPPORT: A dual foam layer provides cushioning support to the ball of the foot to relieve pressure and reduce pain. If you have any questions about this product by Sushine, contact us by completing and submitting the form below. If you are looking for a specif part number, please include it with your message.